The long awaited and highly anticipated opening of Bar Lyon happened this weekend. 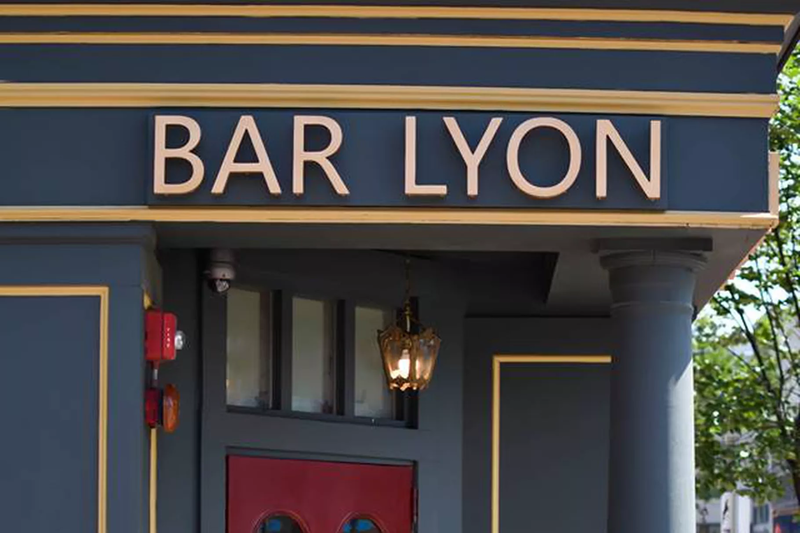 Bar Lyon is part of the Columbus Hospitality Group which includes such venerable establishments like Mistral, Ostra and Sorellina. This may be the Columbus Hospitality Group’s tiniest restaurant with only 48 seats in the dining room and an additional 12 seats at the bar, but it has been eagerly anticipated for months. Chef and owner Jamie Mammano and executive chef Cameron Cieslak have crafted a dinner menu that includes soft-cooked omelets, roasted chicken, poached monkfish with Maine lobster and clams, salmon tartare, and steamed mussels as well as a few items dubbed “Lyon classiques”. One also expects that they will have an excellent wine list in keeping with Columbus Hospitality Group’s other restaurants.